I find great pleasure working with our clients on a one on one basis in making sure all their insurance needs are met. Our staff comes with many years of experience and a great deal of knowledge in the insurance industry. You will be welcomed with a warm friendly staff that is there to help you in your insurance journey from start to finish. Debbie is a licensed Agent for Property & Casualty Insurance. You will find while working with Debbie that she thoroughly enjoys working close with individuals and their families. She enjoys visiting and getting to know you on personal level so that you as a client feel secure and confident in knowing all your insurance needs are met. Debbie was born and raised in Billings, MT. She is a graduate of Billings Senior High School. 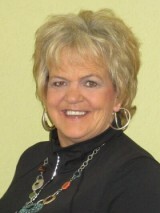 After graduating Debbie moved to Bozeman and in 1991 began her insurance career becoming a licensed agent in 1996. In 2006 she received her CISR designation in the insurance industry. She enjoys her time with family and friends and most of all being a grandma. Debbie has a great passion for children.